Our Customer Service Center offers 24/7 emergency response as well as alarming and system monitoring. Our web-based monitoring system provides our customers with accurate equipment tracking, service call history and equipment history reports, which allow you to better plan for future financial decisions. 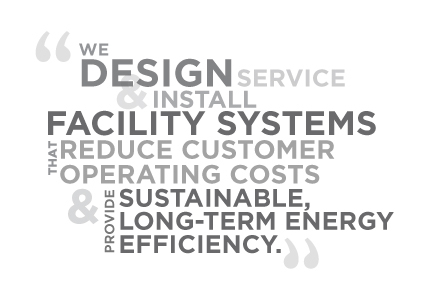 Our automation experts design, install and support building automation and energy management systems. We help our customers identify energy-savings opportunities by conducting an Energy Usage Analysis to help them better understand their facility’s utility consumption profile.